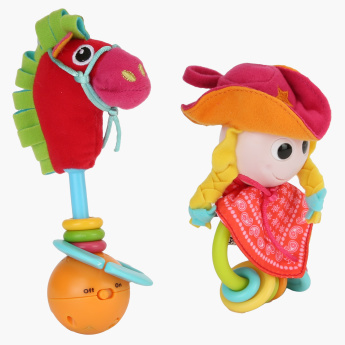 Yookidoo Giddy Up Gal Playset | Multicolour | It comes with set of motion activated electronic musical pony and a cow girl rattle. 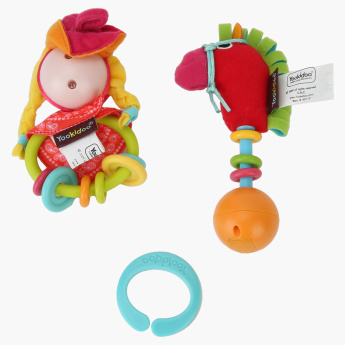 Your baby will keep smiling when you attach this motion activated electronic musical pony and cowgirl rattle to the crib. 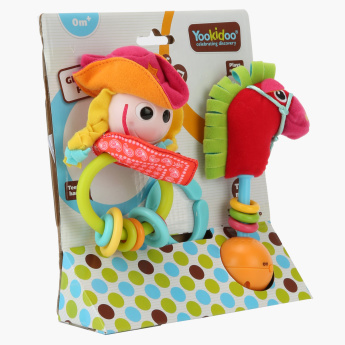 Sporting multiple textures, sliding beads and easy to grab handle, this playset is truly fetching. Feature 1 : It comes with set of motion activated electronic musical pony and a cow girl rattle.